Drake Returns With ‘I’m Upset’ Video At Degrassi H.S. The 6 minute and 30 second video directed by Director X, is more of like a mini-movie with tons of celebrity cameos which shows Drake returning to Degrassi High School for a reunion party with old classmates. The video opens with the rapper waking up in bed mid-court at the Air Canada Centre, as only Drake would be allowed to do. Then, he meets up with Shane Kippel, who played his on-screen best friend Spinner on Degrassi: The Next Generation in what is just the first in a long line of cameos by Drake’s former teen drama co-stars. 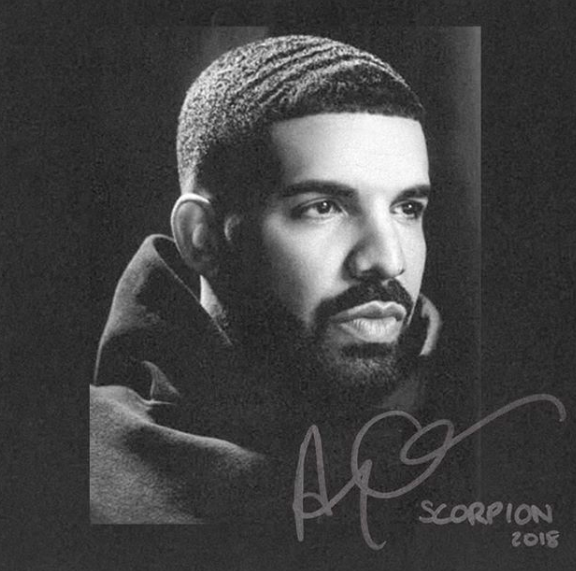 The rapper also shared the cover to his upcoming ‘Scorpion’ album which is a black and white headshot of himself or more like a H.S. yearbook pic.